Varanasi: A 45-year-old gynaecologist, who was jailed for allegedly killing her husband, was found dead at her nursing home in Ordly Bazar here, police said Friday. Shilpi Rajput, a resident of Vindhyavasinii colony in Varanasi, left a suicide note, SP (city) Dinesh Singh said. In the preliminary investigation, the matter seemed to be of suicide due to an overdose of drugs, though we are investigating the case from all the angles, he said, adding the body has been sent for post-mortem. 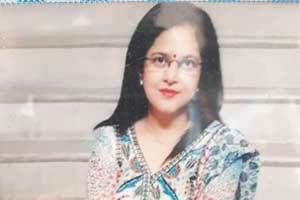 She had been jailed for her alleged involvement in her husband DP Singh’s killing. He was shot dead in Varanasi in 2007.